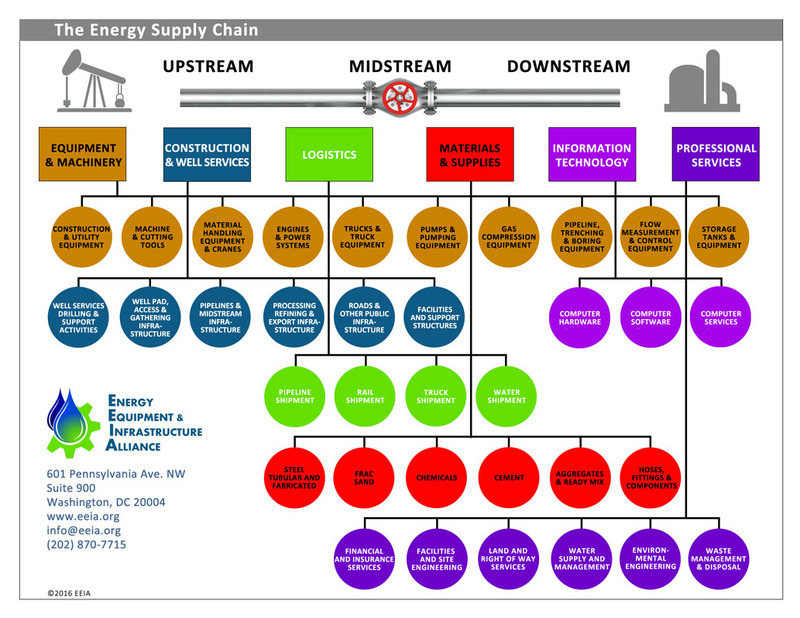 The ENERGY SUPPLY CHAIN is more than one million workers, employed in over 120,000 companies in 60 industries, working in all 50 states. We contribute more than $170 billion to the U.S. economy annually, providing construction, well services, capital equipment, supplies, professional services, logistics and technology to oil and gas production, transportation and processing. This diagram helps to understand the supply chain's depth, diversity and complexity.